Many great and godly commentators, through sincere and honest study of the scriptures, have come to vastly different interpretations of prophecy. SPC’s policy is to take no position on “pre-tribulation,” “mid-tribulation,” etc. Rather, our mission is to encourage people to live holy today, ready to meet Christ when he returns. Then they are prepared for whatever the future holds, whether to die, or meet him in the air, or suffer unimaginable persecution. Nevertheless, the study of the Endtime is a subject that fascinates many Christians. 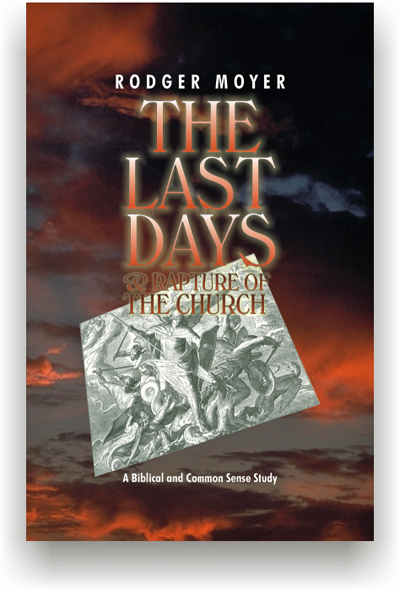 The Last Days and Rapture of the Church discusses “keys” to understanding the Last Days; What is the Final Empire? Who is the Antichrist? Will the Church go through the Tribulation? When is the Rapture? With the same fresh, one-on-one style as his previous books, Rodger Moyer (Author of What They Had We Need and What We Need to Know and Never Let Go) discusses these topics and many more. But the heart of his emphasis is to encourage people to live the life of holiness right now as the best defense against being deceived by the spirit of Antichrist.